I started my CFK journey back in 2010. I had just finished the bootcamp classes and I was hesitant about signing up for the regular classes. There were a number of movements that I struggled with and I thought perhaps Crossfit was too much for me. I decided to jump in and try it out for a month, after that if I didn’t like it, I would go back to the Goodlife gym where I was a member. Well that was over 100 months ago and here I am still at CFK. Why have I stayed at CFK so long? First off, I like training like an athlete. It reminds me of my younger days when I was on a number of teams and involved in KW Track. I like having a “practice” to go to. Secondly, I enjoy being around like-minded individuals who are also passionate about fitness. I find it inspiring to see our other members achieve their fitness goals, whether they are long term members or just starting out. 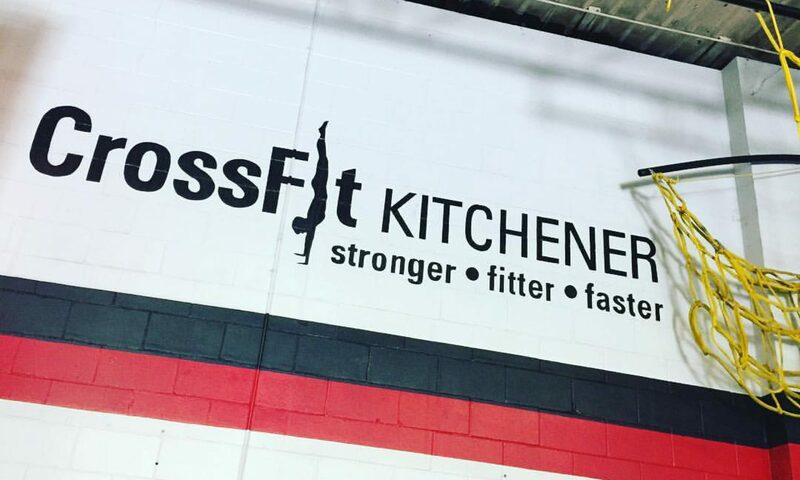 Thirdly, I realize that I need to have a coach to teach me the technical stuff as well as motivate me during the WOD’s and I’ve always received great coaching at CFK. We have a terrific community at CFK and being able to spend time in that environment also keeps me coming back. I realize as I age there are some things that I may have to modify in a WOD due to nagging injuries, mobility limitations etc. but that’s okay. I can still get a great workout and have a good time doing it. For someone who was hesitant in the beginning I can’t imagine my life today without CFK.